Celebrations took place in our Spanish teams last week following a visit from the RCI affiliate team. 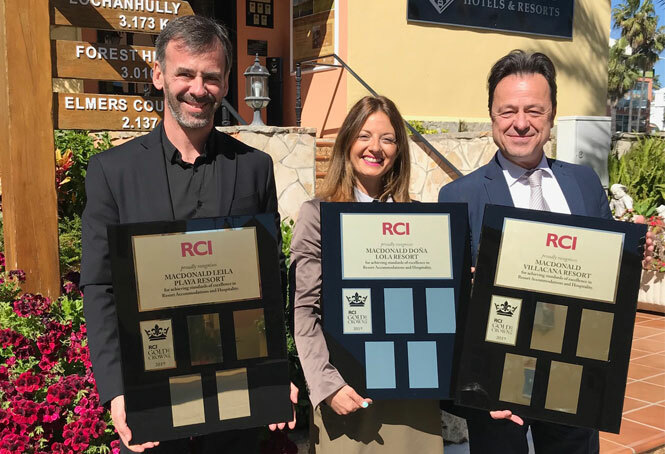 Carlos Moreno and Joana Goncalves (left and centre) presented our Director Sebastian Urquia with Gold Crown plaques for each of our Spanish resorts for 2019. The Gold Crown Award is given to properties 'for achieving standards of excellence in resort accommodation and hospitality'.